If you would like to receive more information concerning buying a ticket for the public transportation system in Milan, please have a look here. If you would like to buy tickets for public transports, please have a look at the following website. Milan, the capital of Lombardy, has a population of 1.3 million people. It is the biggest industrial city of Italy with many different industrial sectors and the second largest city in Italy. It is a magnetic point for designers, artists, photographers and models and corporation hub home to thousands of the most important companies worldwide. Milan has an ancient city centre with high and interesting buildings and palazzos, which is why so many people from all over the world want to see the city of glamour. 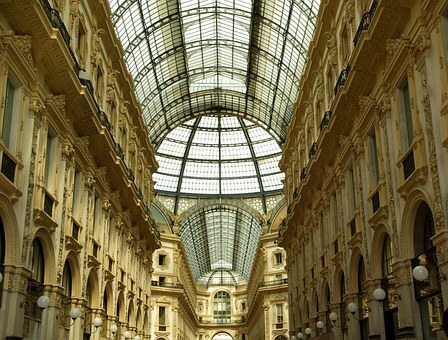 Milan’s museums have one of the most expensive artifacts in the world. In terms of tourism and arts, some of its few record-breaking landmarks are in the city center, home to the world’s first 7 star hotel Town House Galleria, biggest gothic cathedral Duomo, and one of the leading opera and ballet theatres in the world, La Scala.